It regularly happens on mailing lists that people complain about "too much" IPv6 beeing handed over to companies. Well. 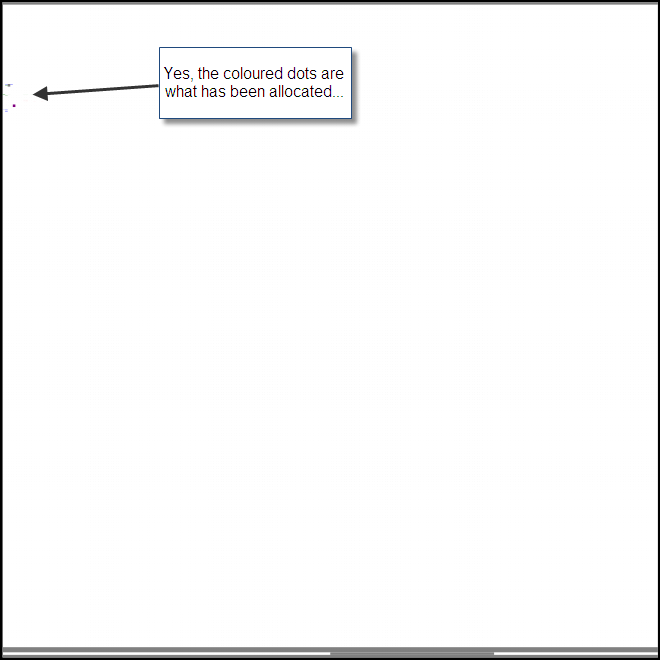 Let's make a graph and see what's already been allocated, sounds great no ? So the image here displays the whole IPv6 address space. There is a black border all around to distinguish the limit of the space. The grey line at the top is the Loopbacks range. It's a /8. So each long line like that one is a /8. The coloured dots are what has really been allocated by the RIR, until Dec 18th, 2010. LACNIC is in Purple, and the "big" purple square is the /16 allocated to the whole Brazil. Well, if you want it more detailed, you'll have to check the SVG file. You can open it properly with Google Chrome, but the zooming features are somehow not that good. So I would suggest that you use Inkscape, an Open Source vectorial tool that displays it very well, and has all the zoom functions you need. The SVG features a grid and inside each /16 the name is displayed. The ipv6.zip is the same as svg but just compressed. It's worth remarking that the SVG contains as many pixels as there are IPv4 addresses. But each of those pixels contains 2^96 IPv6 addresses (a full /32). As a side note: If anybody manages to convert the svg into another classic file format like png, with the same amount of pixels, please tell me how, because I've not been able to (memory, program limitation, etc.). The picture displayed on this website (and downloadable png) is a screenshot of Inkscape. You can contact me using guillaume-at-leclanche-d0t-net.